that puts the fun in fundraiser. It is a family-friendly and fun event. 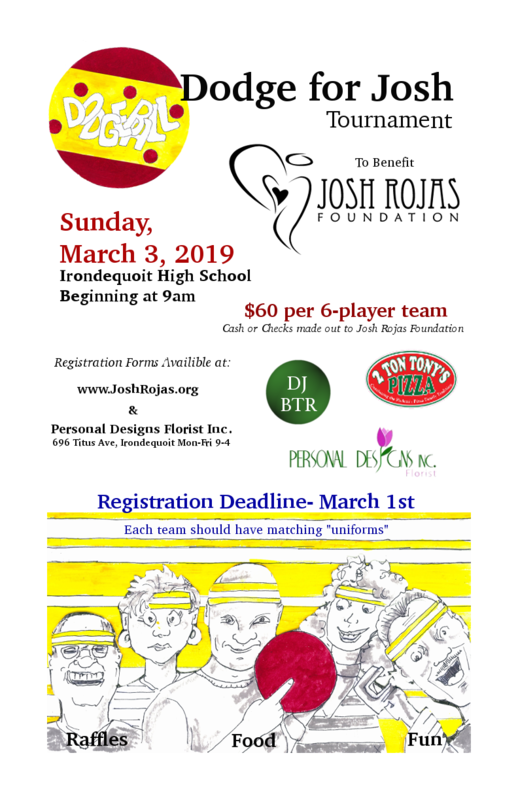 Though it does become competitivie, the purpose of this tournament is to honor the memory of a young boy, bring together our community and raise money to assist bereaved families and children's organizations in the Rochester, NY area. Visit our Facebook page to see photos from past years' tournaments! We try our very best to adhere to the National Amatuer Dodgeball Association Rules, but there may be some inconsistencies due to the space of the venue, volunteering officials and human error. Please see the link below for Dodge Ball Rules.